Juvenile mortality is one of crucial drivers of life-history evolution, and predation is the main cause of nest loss in birds. Thus, understanding how nest predation and failure vary in nature is important for understanding life history evolution and, moreover, for effective conservation. We used published data and unpublished records to study factors influencing nest predation and total failure in 138 populations of 90 species of Australian songbirds. Daily predation (average 2.0% d^−1) and failure rates (2.9%) increased from temperate regions to the tropics, over the last four decades, and were lowest in temperate south-western Australia. 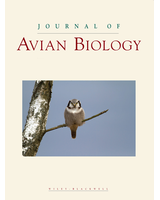 Predation and failure were higher in smaller species, and failure rates were lower in species with closed nests than in species with open nests. There was no effect of nest height or nest site (ground, shrub, canopy) or social organization on nest predation or failure rates. Nest predation caused on average 72% of total nest failure, similar to other tropical, subtropical, and temperate areas. Our study spanning from the tropics to temperate regions and using > 10 000 nests confirmed that tropical birds faced higher nest failure rates. We identified an increase in nest depredation rates in the last four decades in Australia, suggesting that a large-scale ecological phenomenon must be responsible. It may include increases in predator abundances and/or ranges, possibly connected with human-caused habitat change. A global comparison of nest failure rates confirmed that predation is the main source of nest mortality in songbirds worldwide. We discuss implications of our results for the evolution of reproductive strategies and for the conservation of Australian birds.